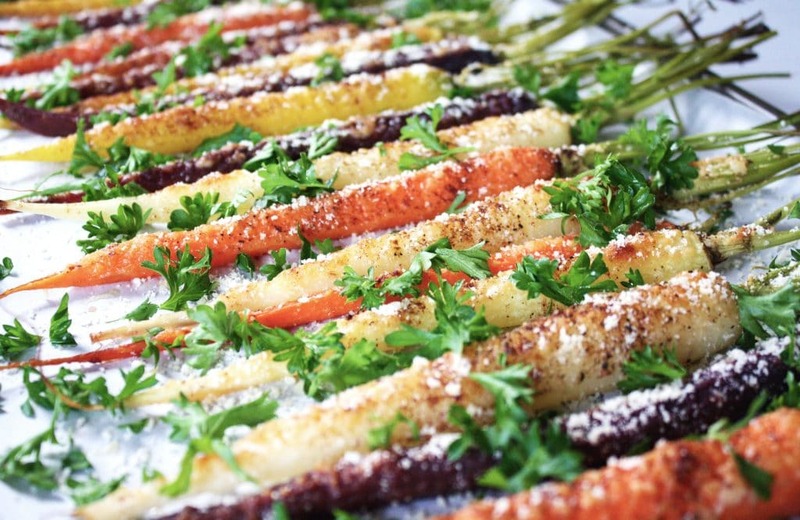 These Roasted Maple Parmesan Carrots are low-carb, gluten-free, refined-sugar free, low-FODMAP, and vegetarian-friendly! 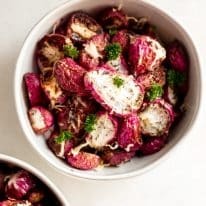 My favorite way to pull out flavors and make veggies palatable is to roast ’em up with all the spices and all the garnishes. 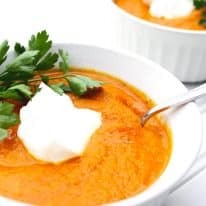 Plus, in our house, it can be tough to get enough vegetables in so, if I can enhance the flavor in any way, shape, or form, to make sure “someone” eats more vegetables, I will! If you have a picky or troublesome eater at home, I promise they will love this recipe! Never did I ever think that carrots would become one of my favorite foods but, when ya add some maple syrup and cheese to the top, they are SO GOOD. 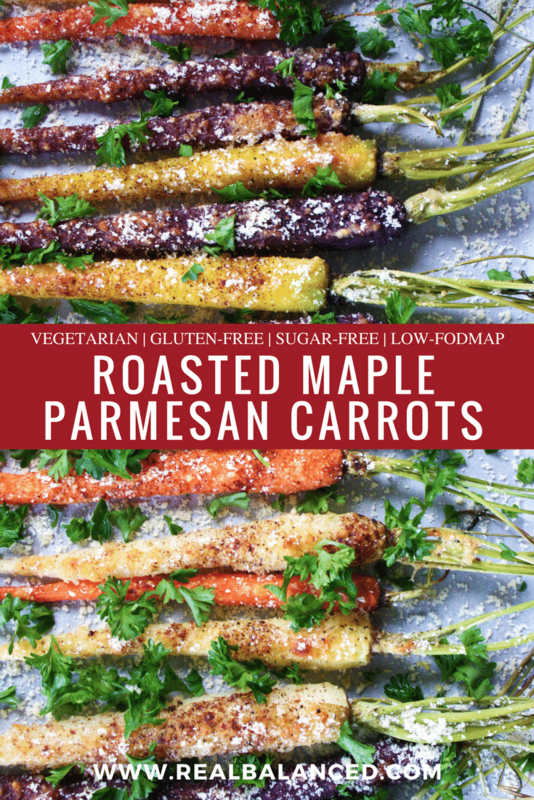 The maple syrup intensifies the natural sweetness of the carrots and the Parmesan is, well… it’s cheese. And cheese is good on all of the things. 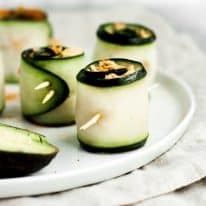 This recipe is low-carb, gluten-free, refined-sugar free, low-FODMAP, and vegetarian-friendly! Preheat oven to 400 degrees and line baking sheet with foil and lightly coat with avocado oil cooking spray. 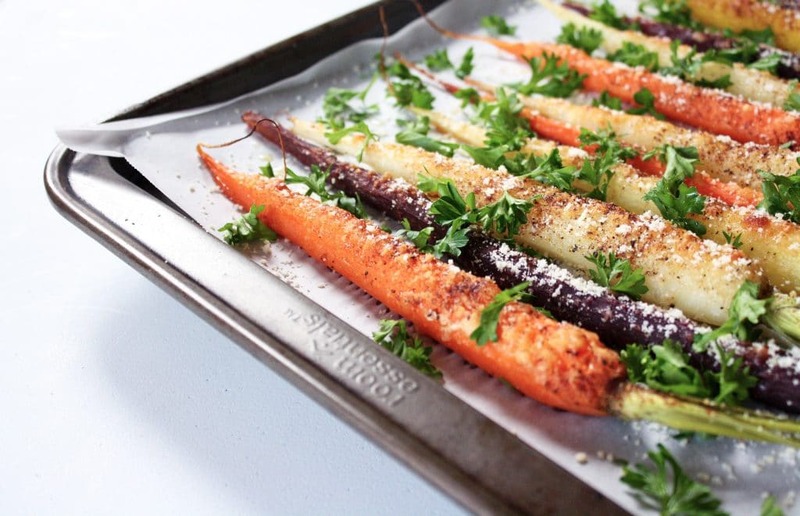 Place washed and peeled carrots on baking sheet. 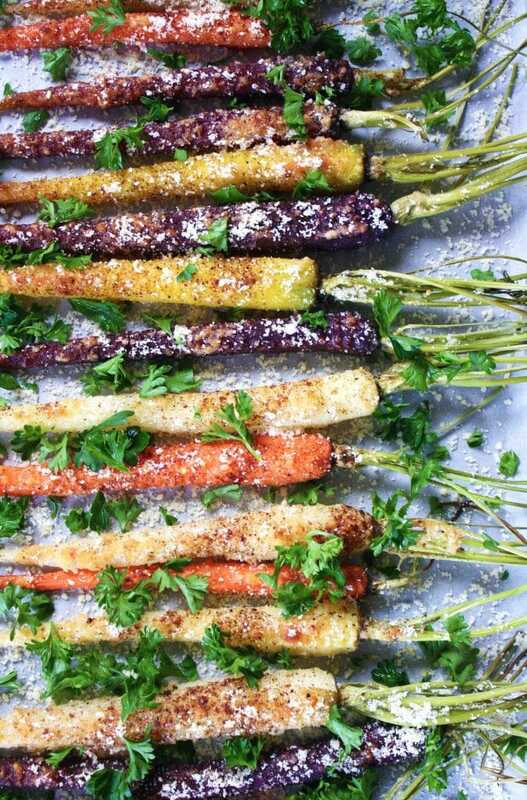 Coat carrots in avocado oil cooking spray. With a pastry brush, brush maple syrup over both sides of carrots. Sprinkle parmesan cheese, cinnamon, salt, and pepper. Transfer baking sheet to oven and bake for 23-25 minutes. Remove from oven and garnish with fresh parsley and parmesan. Thank you! They taste so good!